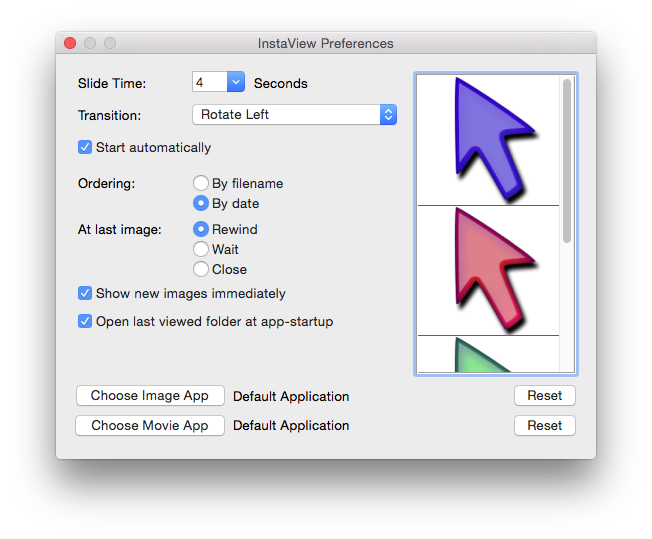 You can let InstaView open the last used folder at startup and if you combine that with automatic playback, you can easily setup your Mac to start playing movies and showing photo's automatically when you start-up the computer. For an exhibition or a shopping window for example. Or maybe you sell TV's, displays or iMacs. You can show any combination of still images and video footage. The easiest way to set this up is to just open InstaView with the photo's you want it top show. 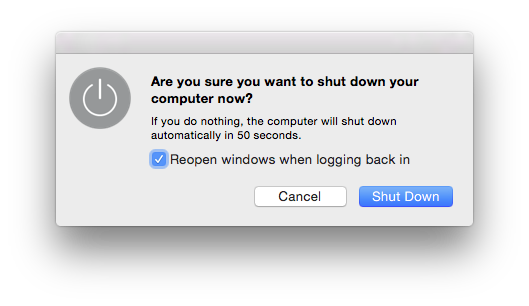 Then shut-down the computer and select the option "Reopen windows when logging back in". You can also add InstaView to your login items, that will launch InstaView and it will start showing photo's. But you will see the menubar of the Finder in front of it. Enable the options below to enable InstaView to function automatically. Enable the "Open last viewed folder at app-startup" option. InstaView remembers the last 10 folders you viewed. With this option turned on, InstaView will open the last viewed folder when it is launched. When you open a folder, InstaView will display the first image. With this option turned on, it will start automatic playback. So after the number of seconds in the Slide Time box have passed, it will show the next image.